Your identity is quite possibly your most valuable resource in today’s interconnected world and you should be protecting it. Your identity is quite possibly your most valuable resource in today’s interconnected world and you should be protecting it. More than ever, who you are shared across the internet leaving your identity susceptible to fraudsters. At PAYFORT we take security very seriously but unfortunately many users don’t. You may be surprised how easy it can be for hackers to gain access to your personal information and what they can do once they have it. Identity theft occurs when a fraudster gains enough personal information to convincingly impersonate their victim. Common outcomes include purchasing products on the victim’s credit cards or even taking out substantial loans in the victim’s name. As these attacks primarily take place in the digital space many victims won’t know they have been targeted until a suspicious bill arrives or they check their credit score. Every case of identity theft revolves around a single common theme; gaining access to personal information. 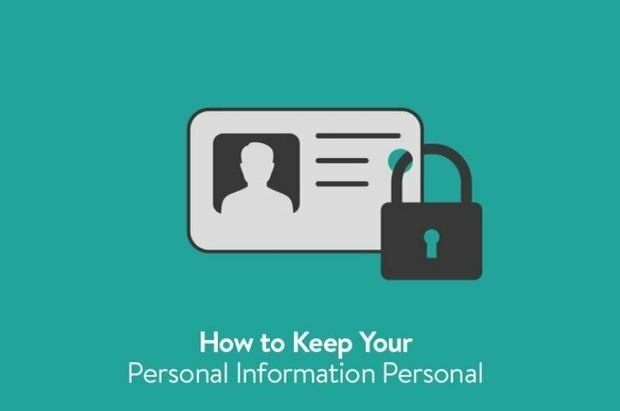 Information such as names, date of birth, address all play an important role in identifying who you are, and sharing your information in insecure ways is a recipe for disaster. Fraudsters can capture this information in a range of ways but some of the most common include hacking and data loss, crawling social media, and setting up malicious Wi-Fi hotspots. As we described above, most identify thieves obtain the personal information needed to commit their crime in a number of ways. To prevent yourself from becoming a victim you need to understand the fraudsters techniques and take the necessary precautions. Now we’re not saying you should abandon the web and give up online shopping, banking, or socialising – but you should do these things in a responsible way. Here are a few examples of simple things you can do to make it much more difficult to steal your identity. Social media profiles are an absolute goldmine of personal information. For a fraudster it may contain everything they need to start the process of stealing your identity. Make sure you frequently review your privacy settings and have them set to private. Password protect your devices – You don’t want to make accessing your life as easy as swiping a screen, so make sure your devices are password protected. Install anti-virus software – Virus are notorious for leaking personal information to a range of source from advertisers to criminals. Protect yourself by running up to date anti-virus software on all your computers. Be cautious on public Wi-Fi – Fraudsters can easily set up fake networks designed to capture your information. When on public Wi-Fi avoid using sensitive apps such as mobile banking. Keep your device up to date – If your device prompts you to update to latest version of software or operating system, do it! These updates often add enhanced security features and close exploits. Don’t forget to think about your offline habits as well. Even though 86% of identity theft occurs online, if you leave critical documents like utility bills or credit card applications out in the open your putting yourself at risk.